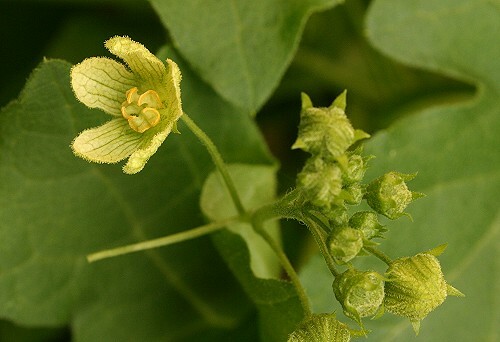 White Bryony is a climbing plant with the help of coiled tendrils which grow from the stalk. The palmate leaves are a dull green. 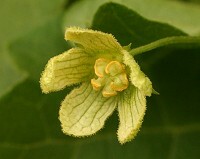 The flowers are a yellow/green colour comprising five hairy petals. The flowers are followed by shiny red berries. The berries and most of the plant are poisonous.